If you’re used to working with VMware, you probably know about the nifty little utility esxtop. 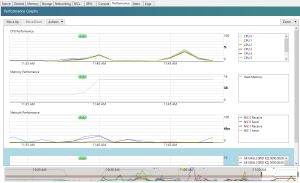 This tool allows you to view real-time performance data on a ESX host. It also allows you to gather performance metrics in batch mode, which allows you to analyze the data in eg. Excel or ESXplot. For those who are working with XenServer, a similar utility is available called xentop. The xentop utility allows you to monitor real-time performance metrics, like esxtop does. However, gathering data like in esxtop is a challenge. As you can see, the header is redirected to the output file too. This provides a nice challenge when it comes to analyzing the data. We could write a script which parses this data, but luckily there’s an easier method getting the performance metrics. This means that if you would like to review data from eg. 30 minutes ago, the minimal interval between 2 measured metrics is 1 minute. This could be enough for most use-cases, but if you want more granularity, you will need to capture the data manually. For XenServer 6.1, Citrix released a nice enhancement pack called “Performance Monitoring Enhancements Pack for XenServer 6.1”. So if you’re still using XenServer 6.1, you will need to install this enhancement pack. If you’re using XenServer 6.2, it’s already part of the default installation. Like I mentioned before, running the utility like this will gather all enabled performance metrics. 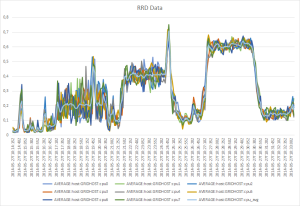 I will describe how to make a selection of the metrics in a new post. I hope this post was useful for you. If you have any questions, leave a comment or send me an email. 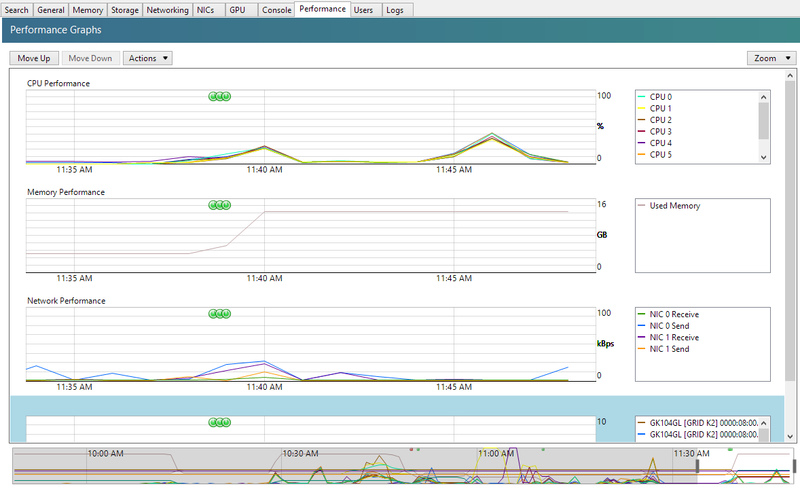 I’m searching for a while now already if it is possible to view performance data with XenCenter from a remote location. I know that you coudn’t really do it in the past, but I have the idea it should work these day’s now. I’m running XenServer 6.2 but when I connect with my XenCenter I can’t see any performance data comming in… Does this still only work when your on the same subnet? Or should it also be able to work across internet now?